NEW YORK Former Treasury Secretary Timothy Geithner has a book deal. Geithner has an agreement with Crown Publishers, an imprint of Random House (). Crown announced Thursday that Geithner's book, currently untitled, is scheduled for 2014 and will provide a "behind-the-scenes" account of the financial crisis. Few Treasury secretaries received as much attention as Geithner, who has been praised for helping prevent a second Great Depression, but criticized for being too friendly to banks and other financial institutions. He will draw upon his experience at the Treasury during the first term of the Obama administration and his previous job as president of the Federal Reserve Bank of New York, where he served from 2003-2009. According to Crown, Geithner will write about his work with President Obama, Federal Reserve Chairman Ben Bernanke and other top officials. "Secretary Geithner will chronicle how decisions were made during the most harrowing moments of the crisis, when policy makers faced a fog of uncertainty, risked catastrophic outcomes, and had no institutional memory or recent precedent to guide them," Crown's statement reads. "Secretary Geithner will aim to answer the most important - and to many the most troubling - questions about the choices he and his colleagues made, the strategies they adopted, and the economic aftermath. 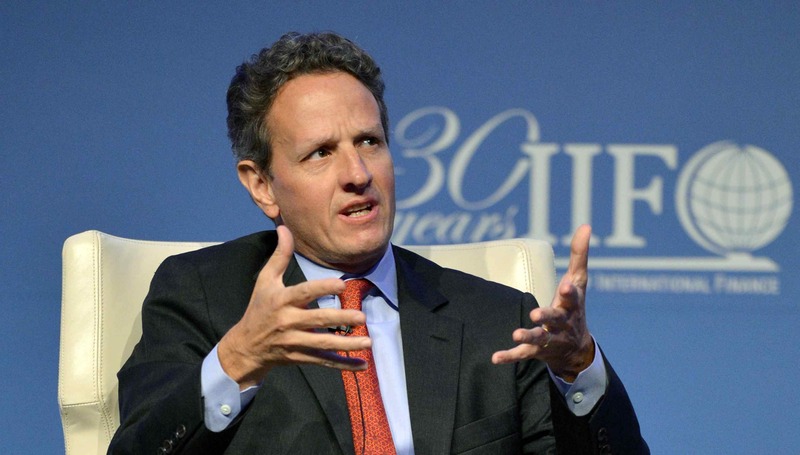 By describing what went right, what went wrong and the lessons learned along the way, Secretary Geithner intends to provide a `play book' that future policy makers can draw on and that the public can use to understand how and why governments act in crisis." Geithner, 51, stepped down in January as Treasury secretary and was succeeded by Jack Lew. Financial terms for Geithner's book were not disclosed. Geithner was represented by Washington attorney Robert Barnett, who has negotiated deals for Obama, former President Clinton and Geithner's predecessor at the Treasury, Henry Paulson. Obama's best-selling "Dreams from My Father" and "The Audacity of Hope" also were published by Crown.